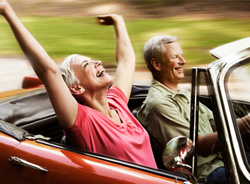 You have earned your retirement, and you are looking at luxury retirement communities that will let you enjoy your golden years. Century Residential understands this. You worked hard all your life; you raised your children, maintained a home, cared for your parents, saved and invested wisely. Now it is your turn to be cared for, and Vienna Square is one of the best luxury retirement communities available today. 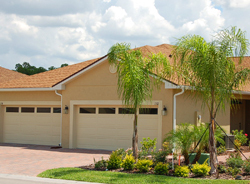 Century Residential is a company with a long and excellent record of designing Florida retirement communities that offer seniors the best that retirement has to offer. It is worth shopping around for the right retirement home. Not all retirement communities will offer you the maintenance-free elegance of a Vienna Square villa. When you move into a Vienna Square villa, you will find everything ready for you. Just move in your personal furniture and other possessions, and you are ready to go. There are two layouts to choose from; both are single story concrete block construction with a two-car garage and covered porch. Each villa has a beautiful family room and dining area, plus a luxurious master bedroom with bathroom and walk-in closets. A guest room and guest bath make your home comfortable for just the two of you, yet welcoming to family and friends who come to visit. Basic 78 channel cable and a security system are included, and of course, you will never have to worry about property maintenance again. 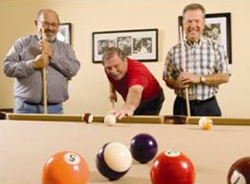 All retirement communities include some amenities, but we think that what we offer at Vienna Square is exceptional. We have a clubhouse with organized events and activities every month, and plenty of opportunities to make friends and mingle. With a ballroom, billiards and so much more, there is always something to do. 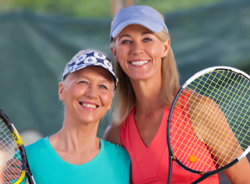 Vienna Square also has a fitness center with outdoor tennis courts, so you can stay active and healthy year round, or just enjoy the indoor heated pool and whirlpool. Because Century Residential understands seniors, we also have a comprehensive list of additional services available when you need or desire them – services like housekeeping and laundry, or wellness exams and medication management. Scheduled transportation is also available. Of course you will want to see what Vienna Square has to offer in person, and we will be happy to arrange a visit so you can see our amenities, meet the residents and staff, tour the premises and see the various models you have to choose from. So come on down! Century Residential would love to show you around Vienna Square, one of the best luxury retirement communities!